While the Bank of America Cash Rewards card’s regular APR is fairly low, its introductory period on balance transfers and new purchases is relatively short. 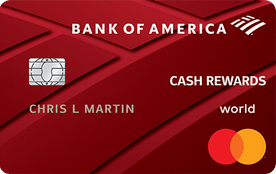 The Bank of America Cash Rewards card’s unique rewards earning scheme is appealing for cardholders seeking flexibility, but the purchase cap on bonus categories limits its potential value. While it can be a good option for moderate spenders looking to earn rewards on everyday purchases, it is not the best option for big spenders looking to maximize cash back. One appealing feature of the Bank of America Cash Rewards card is a flexible rewards rate that lets users choose their own bonus category. The card awards 3 percent cash back on a category of choice – gas, online shopping, dining, travel, drug stores or home improvements and furnishings. The card also includes 2 percent cash back on groceries and wholesale club purchases and 1 percent cash back on general purchases. Just keep in mind that there is a $2,500 combined purchase limit on 2 and 3 percent categories each quarter. The ability to choose your own bonus category makes the card extremely customizable, especially because you can change your selection once each calendar month. That means if you are planning a trip one month, you can opt for the travel option – and then switch the following month to a category you’ll spend more in like gas or dining. This unique feature might be common among business cards, but the Bank of America Cash Rewards card is one of very few personal cards offering the perk. The 3 percent bonus category can be very lucrative, as it includes options that typically are a bigger part of your budget – like gas purchases. Plus, the online shopping category is incredibly flexible, as it includes both web and app purchases. Tip: To help you determine which category is the best choice for you, Bank of America provides regular reports on your spending across the six options. You can look at this to figure out where you spend the most money – and where you can earn the most rewards. You should also keep an eye on how each purchase codes on your statement to know exactly what will earn you a bonus. Unfortunately, you’ll be limited on how much you can earn with a $2,500 quarterly purchase limit on the 2 percent and 3 percent bonus categories (you’ll still earn 1 percent after you meet the cap). With this restriction in mind, we estimate the average earning rate on the Cash Rewards card to be around 1.63 percent cash back. This places it slightly below the average cash back card. On the plus side, the Bank of America Cash Rewards card offers one of the highest sign-up bonuses available on a card with no annual fee. Cardholders can earn $200 online cash rewards for spending $1,000 in the first 90 days. This is a relatively easy spend threshold to reach too, only requiring about $334 a month. One unique feature that can add significant value to the Bank of America Cash Rewards card is the Preferred Rewards program. The program is available to Bank of America, Merrill Lynch and Merrill Edge account holders and comes with a slew of benefits – including a rewards boost on any Bank of America credit card. Depending on your account balance, you could earn as much as 75 percent more rewards. As you can see from the chart above, Preferred Rewards customers, even at the lowest level, earn a very competitive rate of cash back with the rewards boost. We estimate that the average Gold level customer would earn 2.04 percent cash back with the Bank of America Cash card – a rate that beats most other cash back cards, including the Citi Double Cash Card. Tip: The rewards boost applies to most Bank of America personal credit cards, including alternatives like the Bank of America® Travel Rewards credit card. If you prefer earning points to cash back, that is another good option for those wanting to earn Preferred Rewards benefits. Once you’ve racked up rewards with your Bank of America Cash Rewards card, redeeming cash back is pretty simple. You’ll need a minimum of $25 to redeem, but once you’ve reached the threshold, you can opt for a statement credit or direct deposit into an eligible Bank of America checking or savings account. You can also set up automatic redemptions starting at $25. Also, rewards don’t expire, so there’s no rush to redeem your cash back in case you haven’t reached the $25 threshold. In addition to a flexible rewards rate, the Bank of America Cash Rewards card comes with a decent balance transfer offer. Cardholders can enjoy a 0 percent introductory APR for the first 12 billing cycles (16.24 percent to 26.24 percent variable thereafter). The card does charge a balance transfer fee of 3 percent (minimum $10), but that is pretty standard for a balance transfer. Additionally, you must request transfers within the first 60 days to qualify for the intro period. Note, if you’re looking to get the biggest savings on a balance transfer offer, this is far from the longest introductory period you can find – many cards offer intro periods of 15 months or longer, and some cards allow you to transfer a balance without a balance transfer fee, possibly saving you hundreds of dollars. However, if you are looking for a way to pay down some debt without racking up interest – but don’t want to sacrifice rewards – the Bank of America Cash card could be a good option. The Bank of America Cash Rewards card also include a generous introductory APR on new purchases – 0 percent for the first 12 billing cycles (16.24 percent to 26.24 percent variable thereafter). If you are looking for a way to finance a large purchase over several months without paying interest, this is a pretty decent offer. The Bank of America Cash Rewards card doesn’t have many additional benefits, but it does come with a few extras that can add value to the card. Extended warranty – For eligible purchases made entirely on your card, you can double the manufacturers’ warranty up to one extra year. Car rental insurance – If your rental car is damaged or stolen, the Bank of America Cash Rewards card can reimburse you in excess of the company’s insurance policy. Temporary card numbers through ShopSafe – To protect your card information while shopping online, you can generate a temporary card number with the ShopSafe service. Unfortunately, the card’s travel benefits are lacking, and it charges a 3 percent foreign transaction fee. If you are a frequent traveler, the Bank of America Cash card is probably not the best choice for you. For cardholders looking to maximize their rewards potential, Bank of America offers a card-linked offers program called BankAmeriDeals. The program is designed to rewards users for everyday spending by offering cash back at a wide range of popular restaurants, clothing stores, gas stations and more. In fact, you might be able to earn up to 15 percent cash back. To take advantage of one of these deals, you simply need to add them to your Bank of America Cash Rewards card and use it to pay when you visit the merchant. Funds will automatically be credited to your account. As you activate and redeem offers, you’ll also earn coins to advance through levels and unlock additional cash bonuses. The Bank of America Cash Rewards card is designed for users with good to excellent credit (above 670), so ensure you meet these requirements before you apply. If you are hoping to transfer a balance, you should also keep in mind that balance transfers are approved separately from your card application – based on your available credit limit. Among major issuers, Bank of America does not have the best customer service reputation. In J.D. Power’s 2018 customer satisfaction survey, the bank rated 791, ranking seventh out of 11 major banks. While the issuer does offer an online chat feature, it doesn’t include 24/7 customer service. On the bright side, the bank’s app rates fairly well among users, rating 4.5 out of 5 in the Google Play Store and 4.6 out of 5 in the Apple App Store. How does the Bank of America card compare to other cash back cards? 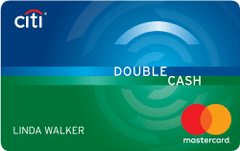 The Citi Double Cash Card is one of the highest earning flat-rate cards available, and it doesn’t come with an annual fee. The downside is that it doesn’t come with a sign-up bonus either, so you’ll have to hang onto the card for a while to see its long-term value. Despite the lack of introductory offer, the Citi Double Cash Card can easily outpace the Bank of America Cash Rewards card’s earning rate for most cardholders. The Chase Freedom requires a bit more effort on behalf of the cardholder to earn significant rewards, but it can be very lucrative for savvy spenders. The card offers 5 percent cash back in rotating bonus categories that you activate each quarter (up to $1,500 in purchases per quarter, then 1 percent cash back). This is a great rewards rate, but the spend cap is relatively low. However, you can also transfer rewards earned on the Chase Freedom to another Chase Ultimate Rewards card – like the Chase Sapphire Reserve card – which gets a 50 percent higher point value when redeemed for travel through the Ultimate Rewards portal. The most eye-catching feature of the Discover it Chrome is its unique introductory offer – which matches all the cash back you earn at the end of the first year. For an average spender who charges $1,325 per month to their card, that comes out to around $410 in rewards in the first year alone. As an added bonus for frequent travelers, the Discover card also doesn’t charge a foreign transaction fee. Why get the Bank of America Cash Rewards card? You have Bank of America checking or savings account with a significant balance and can qualify for a Preferred Rewards boost. You don’t want to pay an annual fee – but still want a decent sign-up bonus and rewards rate. You want a flexible rewards program that can shift as your spending does. You prefer cash back to points or miles. Enroll in the Preferred Rewards program if you qualify to receive a higher reward rate. Use your card for all choice category and grocery purchases – at least until you hit the spending limit for bonus category purchases. Take a look at your spending each month to see if another 3 percent bonus category could earn more rewards. Is the Bank of America Cash Rewards card worth it? If you are a moderate spender who is looking for a flexible rewards card that doesn’t charge an annual fee, the Bank of America Cash Rewards card is a solid option. The card is also particularly valuable for Bank of America and Merrill Lynch checking and savings account holders, who can boost their rewards earning with the Preferred Rewards program. However, true cash back enthusiasts are probably better off opting for a card that doesn’t impose such steep restrictions on bonus category earning.